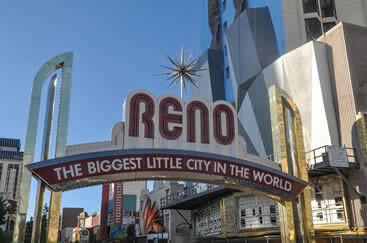 Reno, Nevada is Las Vegas’ sinful sister. Many think it’s not as fun, but in reality, it’s just as exciting as the world famous strip. The city is filled with brilliantly lit casinos, world-class shows, and some of the most beautiful natural wonders the world has ever created. There is also a great shopping and museum district close to the downtown area, making the city much more than a desert gambling hub. Known as the "Biggest Little City in the World", Reno is a home to thousands of lights. Few people know that this city was named during a contest in 1929. There is no shortage of things to see here. There are historic museums such as the National Automobile Museum which displays the history of the automobile and role in American society. Located only about 4 miles from the airport, it houses the most detailed public display of cars in the Western Hemisphere. If you are looking for a more unusual place to visit, the Mining Machine is a good place to start. It is an automated mining machine museum that showcases the silver mining heritage of Nevada. The Silver Legacy Resort Casino is a working model of how ore was processed in the 1800’s. The museum features a constantly moving machine which is located at a staggering height above the main casino floor. The Reno-Tahoe international airport is used by both the public and military personnel. It is situated near downtown Reno in Washoe County in Nevada. RNO is busy year-round. If you are just at RNO airport for a layover while flying to your final destination, you could have a good time sight-seeing in the surrounding area. Make sure to book your airport shuttle or limousine ahead of time. The Reno-Tahoe International Airport is a huge facility that likes a short distance of less than three miles from the busiest parts of downtown. You’re more than likely to run into traffic no matter what time you land, so be prepared to walk through large crowds as you wait for your luggage to roll around the carousel. Avoid any more frustration by relaxing on our shared ride vans, each lift coming with plenty of room to recover from jet lag as well as caged-off units for all of your bags. Reno is home to mountainous ranges and tons of casinos, making it a great place for lots of people to visit, whether you’re a retirement community traveling state-to-state or a family that relishes quality time. Reserve a private van and head out to the upscale Atlantis Casino Resort Spa, a gorgeous facility with its own spa, dining options, and most importantly a variety of different ways to win big. For those in search of an intimate trip, look no further than the National Automobile Museum, a showcase of over 220 historic vehicles as well as the history of cars. Indulge in the aroma of Idlewild Park, a recreation area that is home to massive rose gardens along the Truckee River. Reserve a private sedan and heading out to other intimate locales such as Wilbur D. May Center, a museum and arboretum that is famous for being the prettiest place in Reno. Grab the family and venture out to a world of exoticism by driving over to the Sierra Safari Zoo, which is known for its small collection of animals in a compact setting. See the lions, tigers, and bears up close by reserving a private SUV for your family. Once you’ve got your vehicle, the city becomes your oyster – take advantage by spending the day at Peavine Peak, a gorgeous area that is home to tons of hiking and mountain biking trails. There’s a lot of money constantly being pumped into Reno, meaning there are a lot of places to spend your earnings, whether it’s the traditional upscale seafood at Sterling’s or the modern New American dining at Lulu’s. Stop by for a tasty dish and cocktails at either of these eateries by reserving a stylish stretched limousine, visiting luxe hotels like the beautiful Grand Sierra Resort and Casino, which sits beside a lake and is home to an on-site theme park. Admire the gorgeous architecture and fantastic shows at thee Pioneer Center for the Performing Arts, Reno’s one-stop-shop for all things entertainment. Roll up to the iconic gold-domed venue by reserving a chartered bus from our great local transportation providers service that’s happy to drop off and pick up guests where and when they please. Because your vehicle comes fully equipped with a driver, you’ll also gain the benefit of not worrying about getting lost. Be sure to contact the company ahead of time for potential options for savings. Peppermill Casino is one of the largest casino facilities in the city. Opened in the early 1970’s, the design is vintage and Tuscan themed, offering over ten restaurants, including a 24-hour Internet café and a full buffet. There is also a variety of nightlife and entertainment within the hotel, including over fifteen bars and lounges as well as a massive nightclub. Although there are plenty of lights and exciting distractions scattered around Reno, there are just as many natural wonders. 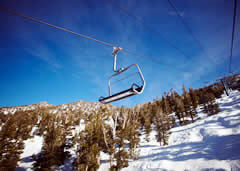 Go on a mountainous adventure by heading to Mount Rose Ski Resort Tahoe, a beautiful summit located in the heart of Toiyabe National Forest. If you’re in the mood to see some downtown baseball, visit the world famous Reno Aces Ballpark to witness Minor League Baseball teams in action. 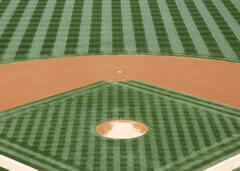 Home to the Triple-A Reno Aces, the field represents the Pacific Coast League, making for fun betting opportunities as well as good old-fashioned fun. When you arrive to Reno-Tahoe International Airport, you’ll essentially be dropped into what seems like the middle of the desert, but rest assured that downtown Reno is just two miles northwest of the airport, making for a quick and easy drive. Several taxi services are available as well as app-driven services throughout the area. If you’re in need of a ride, utilize public transportation. Available at the gate are several transportation services run by the city of Reno, including RTC Ride, RTC Access, Eastern Sierra Transit Authority (CREST), and Modoc Transportation Agency. There are also shuttle services for large groups by Airport Minibus and North Lake Tahoe Express as well as private SUV and sedan rides with local providers such as GroundLink and Blacklane. 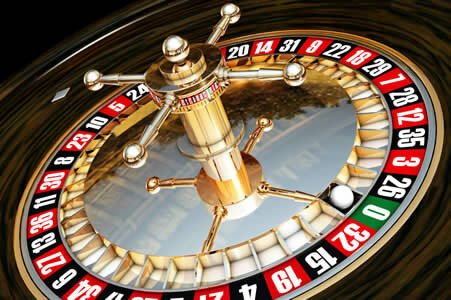 Get the best of both worlds by staying at a casino/hotel resort. Some of the most popular and incredibly cheap are the Eldorado Resort Casino and the Peppermill Resort Spa Casino, both of which are 4-star results with rooms at low rates.. For an upscale casino stay, visit the Atlantis Casino Resort Spa, a 4-star hotel that also offers free dining options. Get a taste of some authentic Thai cuisine by visiting Bangkok Cuisine, a delicious restaurant in the heart of downtown that offers a warm ambiance and traditional recipes. If you’re in the mood for French, visit the 4th St. Bistro, an extraordinary restaurant that is intimate and also has the benefit of offering an American-style menu on the side. If the casinos bore you, explore the lesser-known sides of Reno like the Animal Ark, a huge walking tour of amazing Sierra Nevada wildlife. There are also educational pit stops like the Nevada Museum of Art, a renowned facility that offers beautifully polished exhibits and an incredible background about an overlooked state.